Vmath® is a targeted, standards-based solution to accelerate Hillsborough’s struggling students to grade-level math success. 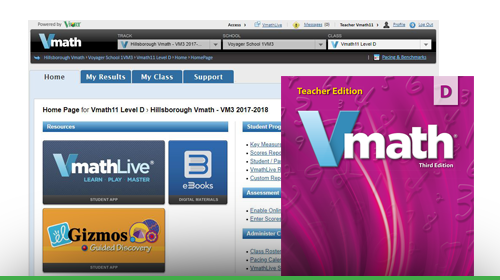 This Review Site was created for Hillsborough educators to learn more about the Vmath pedagogy and to review all components in a digital format. Please begin your review by downloading and printing the Reviewer Guide. Thank you for your consideration. Click here to explore the Florida adoption Vmath overview.